Nine stories, all set in and around Cape Canaveral against the backdrop of landmark events, focusing on regret and hope, relationships and family, and the universal longing for love. ...a very funny and touching collection ... The title story is the best new short story I've read in light years ... Ryan's stories usually start off with mundane situations and then boldly go into the depths of emotional deep space ... a wry and smart collection — a beam of intelligent life from an author who clearly likes to probe the outer edges of the familiar. Some characters pop up in different stories — set years, even decades apart — and together they create a kind of choral portrait of a place, which turns out to be less a real community than a collection of misfits and Isolatoes ... if Mr. Ryan is unflinching in depicting their liabilities, he also displays a gift for excavating the dashed hopes and yearnings that lie beneath. He is especially adept at capturing the point of view of children, with a Salingeresque understanding of their alienation, their vulnerability, their keen powers of observation. Ryan’s characters are witty, strange and immersed in escapist fantasies ... Though there are weaker stories in the middle of the book, throughout the collection there’s a tenderness and attentiveness in Ryan’s stories, each character rendered with vivid compassion ... 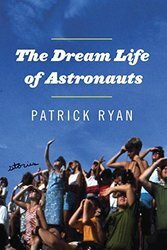 The Dream Life of Astronauts is a collection of small and lovely surprises — a book brimming with humor, compassion, and heartbreaks. What did you think of The Dream Life of Astronauts?